Those simply looking for a comfortable place to catch up on a few hours sleep, will find our Classic single rooms ideal. After all, the compact accommodation has no effect on our heartfelt hospitality or the delicious breakfast we serve the next day. Those that like to move around in their sleep or want to stretch out with a laptop and some files, will find all the space they need on the queen-size bed in our Comfort single room category. The rates are per room and night and include VAT and service. 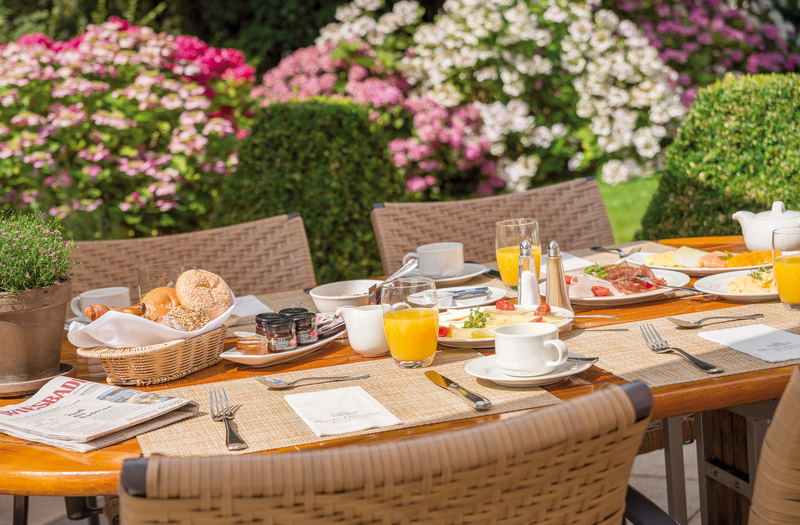 Start the day with our rich breakfast buffet, certainly on the garden terrace in the summer. We emphasize on best products, mainly from the region. Our coffee and tea offer is Fair-traded.